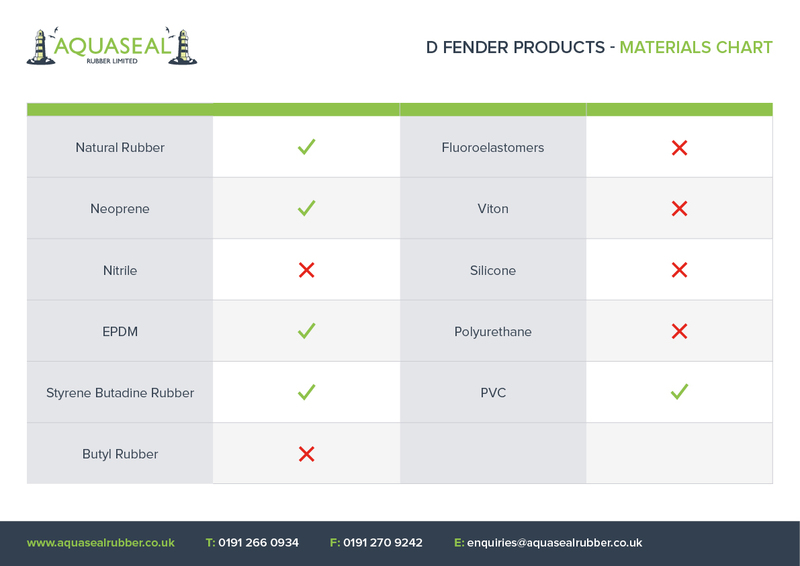 Rubber D Fenders - Natural and Synthetic Rubber - Aquaseal Rubber Ltd.
Aquaseal Rubber Ltd manufactures a range of D fenders, both hollow and solid to meet a wide variety of requirements. Sizes range from 20mm up to 300mm in various D formats. Harbours, ports, boats and vessels endure on-going strain from knocks and bumps, which cause damage and erosion. This requires continuous upkeep to maintain the structural integrity of vessels and structures. Aquaseal’s rubber D fenders and cylindrical fenders form a protective barrier for structures and vessels to minimise the damage caused by impact. D fenders absorb the kinetic energy of a boat or vessel berthing against a jetty, quay wall or other vessel, preventing damage. Fenders can also be used at loading bays for lorries, trucks and any other unique applications where a protective barrier is required. 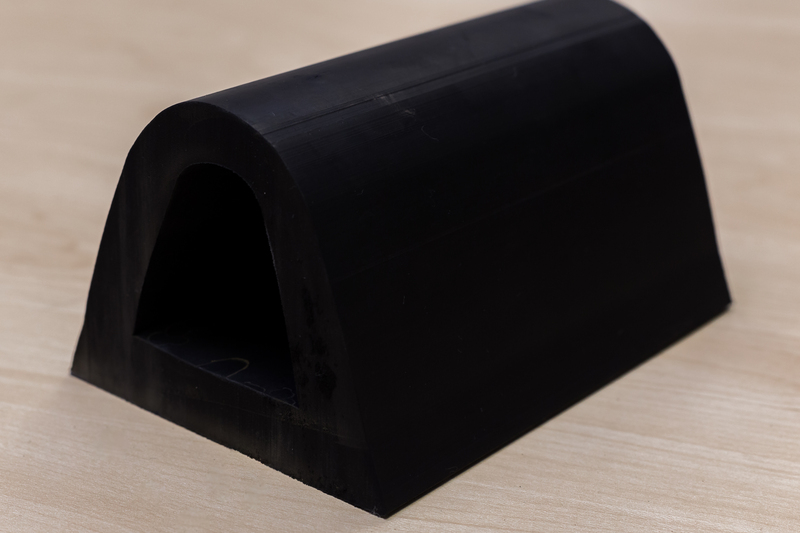 We use a specially compounded 70-shore Hardness EPDM rubber for our rubber d fenders. This makes them resistant to degradation, UV radiation, seawater and other environmental factors. This ensures that our fenders are a sturdy and long lasting product, built to stand the test of time. Fenders can be installed either into a channel or bolted onto the required surface. Installation can be horizontally, vertically or diagonally. This is a practical and versatile solution for many industries and environments. Our fenders can be pre-drilled, pre-curved, chamfered and cut to specific lengths. This will assist installation and meet requirements of application. 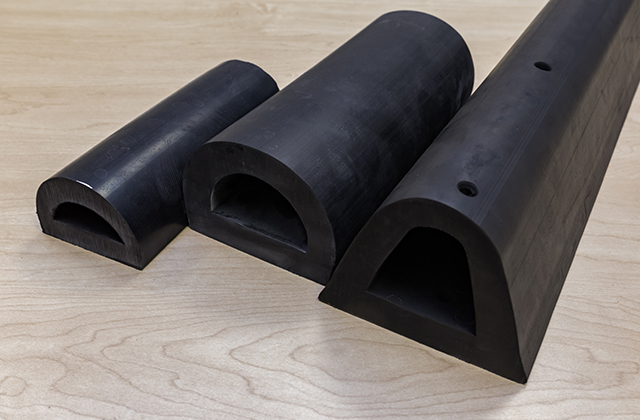 Our rubber D fenders have a flat rear surface to make installation on a flat surface easy. Aquaseal produces their fenders through a die using the extrusion method. 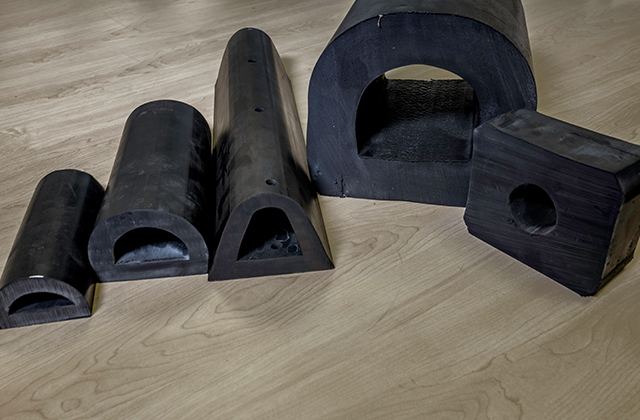 In addition to our range of standard sizes we can help design bespoke profiles for your own special requirements.